Butternut Squash Soup | Does This Font Make Me Look Fat? I get a lot of food and supplement related emails. Our diet tracks toward Paleo and a recent email trying to sell me a new cookbook had a simple recipe that I have now made several times. It’s quite easy which is what I want. If I can make something ahead of time and reheat for lunch or dinner, that recipe is a keeper. 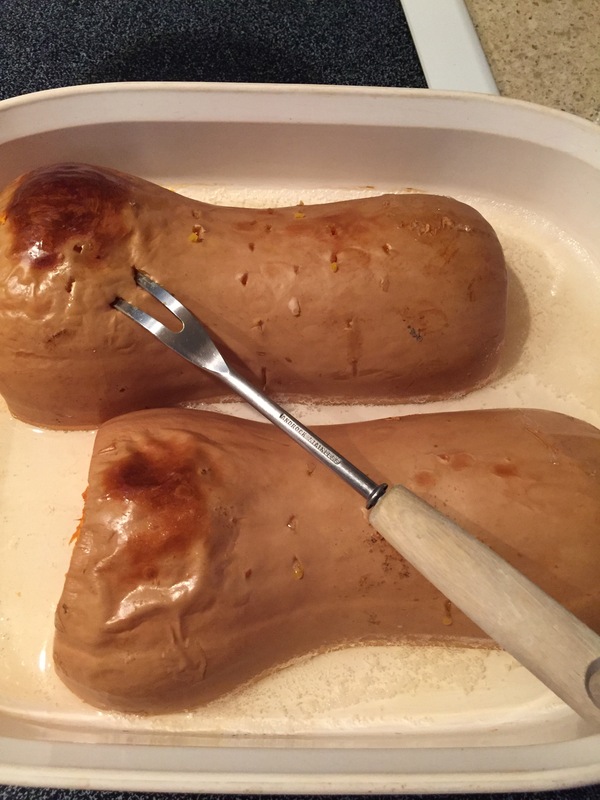 Cut squash in half, remove seeds, and place in oven dish cut side down. Add some water. Cook 45 minutes or until done. When cool peel and puree squash in food processor. In saucepan cook (over low heat) 1 tsp red curry paste and 1 tsp cumin for one minute. 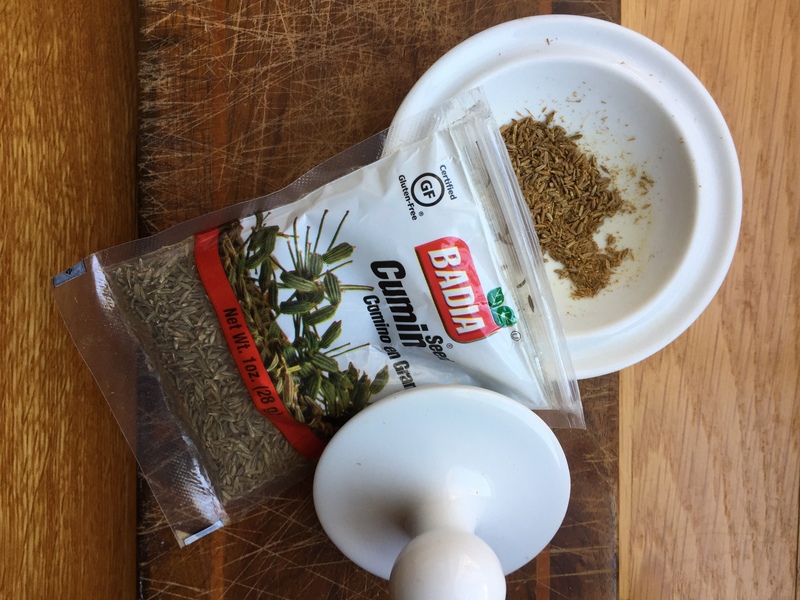 The first time I made this I was out of ground cumin, but I did have cumin seeds. I ground them as best I could in a mortar and pestle. It worked fine. Finely grind 1 cup Pepitas in blender. I didn’t use the Pepitas. They are on my husband’s food sensitivity list so I passed. But I think they would have been good. Add cooked squash and coconut mixture and blend. I had already pureed the squash in the food processor so just added it to the coconut mixture and didn’t re-process. Add water if too thick. 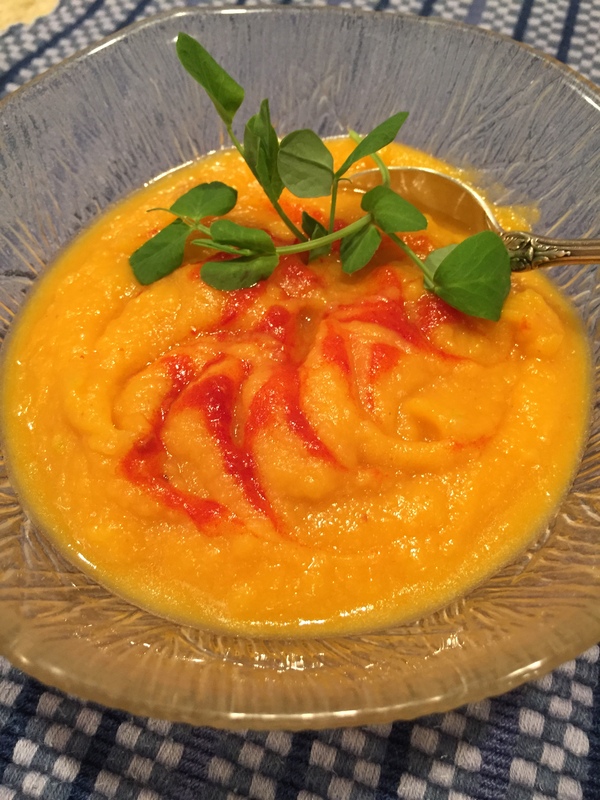 I like having another easy way to incorporate winter squash into our diet. If you wanted to make this even faster, you could buy cubed squash. I wonder what this would be like with canned pumpkin? I’m going to try that and I’ll let you know. What is your favorite fast recipe? What Kind of Knife Can a Girl Hide in Her Bra?